We make your daily drives more comfortable. 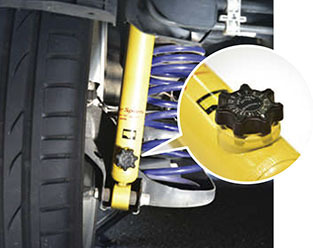 The Lowfer Sports shock absorbers can be used with genuine shape lowering springs. A combination of genuine-shape, fixed-damping-force lowering springs, and custom-tuned shock absorbers offers smooth, sure handling and a stylish lowrider profile. 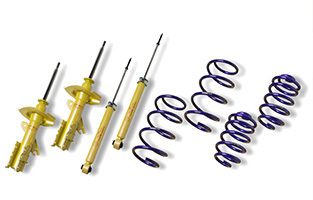 Depending on car specs, select just the Lowfer Sports shock absorbers only an L-KIT suspension kit that includes both shock absorbers and KYB low height springs (L-H-Ss). The set of shock absorbers and coil springs can be your best choice. We've introduces a 14level dial for the Lowfer Sports rear shocj absorber to give you the ability to make superine adjustments. The new lets you set the precise ride quality you want. Optimizes the shock absorber stroke for the given ride height for agile handling and smooth ride while maintaining effective suspension. 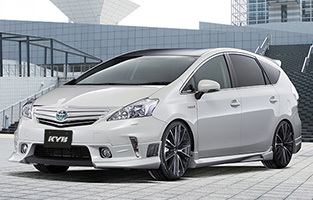 * Dimensions for either the front or rear are the same as the genuine part for certain car models. 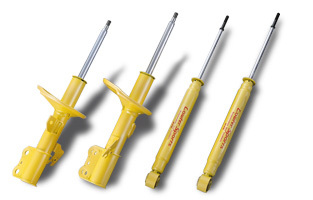 With the front strut on minivans and sedans, lateral stress applied to the shock absorber is offset by the spring to ensure smooth movement of the shock absorber for good response, ride, and durability. 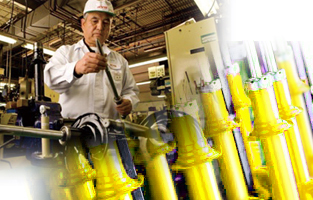 The Lowfer Sports shock absorbers are manufactured at dedicated plants in Japan by applying manufacturing and quality control expertise gained over long years of OEM experience to achieve strength and durability equal to standard parts. Key components, including mounts and spring seats, have been standardized for commonality with the NEW SR SPECIAL shock absorbers. 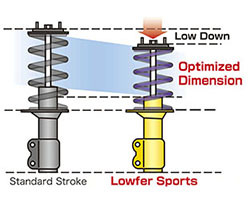 In addition, Lowfer Sports shock absorbers contribute to the high cost performance of the L-KIT. 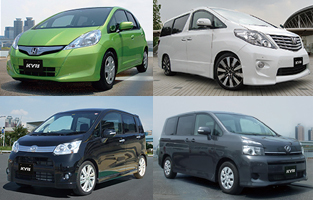 The Lowfer Sports shock absorbers and the L-KIT combined fit around 300 car models, spanning a wide spectrum of vehicle types from kei cars to minivans. 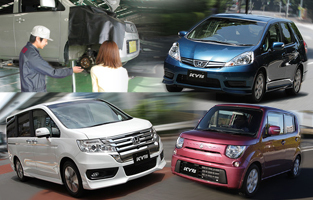 The L-KIT alone covers around 200 car models. 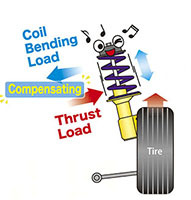 Suspension performance depends on the specs and performance of the shock absorber and coil spring paired. Each affordable set includes shock absorbers and coil springs for one vehicle.